Turning Point provides a selection of harm reduction tools that when safely used will prevent the transmission of HIV, Hepatitis C and other Blood Bourne Pathogens. The Safer Injection tools Turning Point distributes include syringes, filters, alcohol swaps, ties (also known as tourniquets), sharps containers, individual waters, cookers, vitamin C, and citric. In addition to accessing supplies in the office and through NightReach, Turning Point and their partner organizations we run one other satellite location in Red Deer. The satellite harm reduction site is the Safe Harbour Society. The Safe Harbour Society is available only when the Turning Point office is closed. 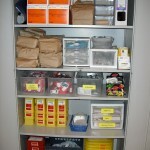 The satellites have a smaller selection of materials available and only related to safer injection. We also have a rural satellite location at Stettler Family and Community Support Services located on main street at 4720 50th Street. Turning Point in partnership with Alberta Health and the Alberta Community Council on HIV have teamed up to make overdose prevention training and take home naloxone kits a reality for Central Albertans who use drugs. Turning Point began distributing take home Frequently Asked Questions-Naloxone_EN kits on July 7, 2015. Overdose prevention training and take home naloxone kits are key pieces in preventing unnecessary loss of life related to opioid overdose; something that has been on the rise in Alberta, a trend mirrored globally. Naloxone is a safe, effective prescription drug that can reverse an opioid overdose by blocking off the effects of the opioid. Naloxone cannot get a person high, therefore abuse and dependency is not a concern. Anyone who is at risk of an opioid overdose can get a kit by connecting with us (Monday-Friday, 9:15-12, 1-5). For more information on this program you can watch this video from Alberta Primetime. There was some potent heroin in town in late January 2016. We asked a client what he thought. Listen to his answers here. Next Step is a peer-support group for current and former drug users. Next Step’s goal is to build the capacity of people who use drugs and to educate and advocate within the larger community surrounding issues related to drug use and addictions. For information on when the next Next Step meeting is please email us. Turning Point, in addition to the Downtown Business Association and the City of Red Deer Parks and Recreation staff, respond to community requests for needle clean up and/or support. Please call us or email us. 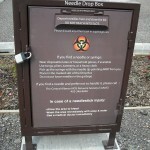 Turning Point provides a variety of opportunities for safer disposal of sharps and drug related debris within the office, at our satellites as well as outside Turning Ponts’ business hours through provision of sharps containers and via nine community needle drop boxes. For more information, read the Harm Reduction and Drug FAQs.